Turn veggies into healthy spaghetti. 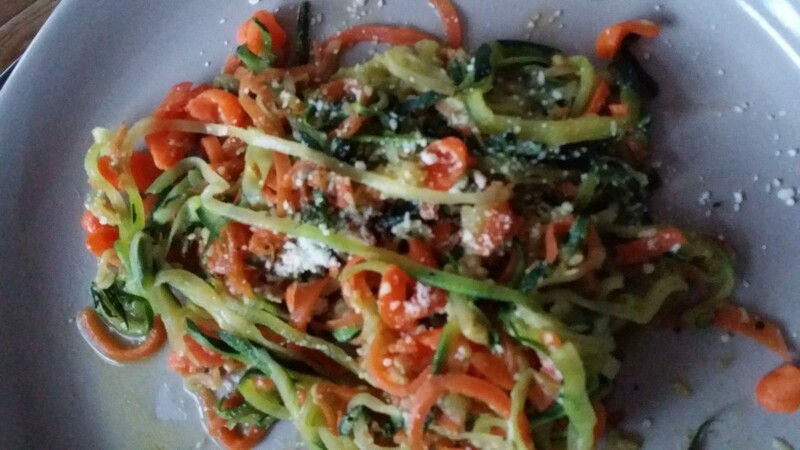 Learn how to make perfect, delicious, alkaline pasta without the carbs. This is a great promo video showing a demonstration of how the Vegetti is used and credit goes to As Seen on TV Blog. I bought mine from Walmart. I am sure you can also buy your Vegetti locally as well unless you want to buy online, that's up to you. I wanted to share it so you had a great vision of how it works and get some delicious recipes. I love mine, and enjoy eating alkaline, pH pasta. What better way to get to your "natural state of weight"
As I become more aware of how eating meat affects my body, making me feel sluggish, acidic, and bloated, I decided to switch up the ground beef in my Chili and make it with something different. Yes, you can change to chicken or turkey but why not try Tofu? 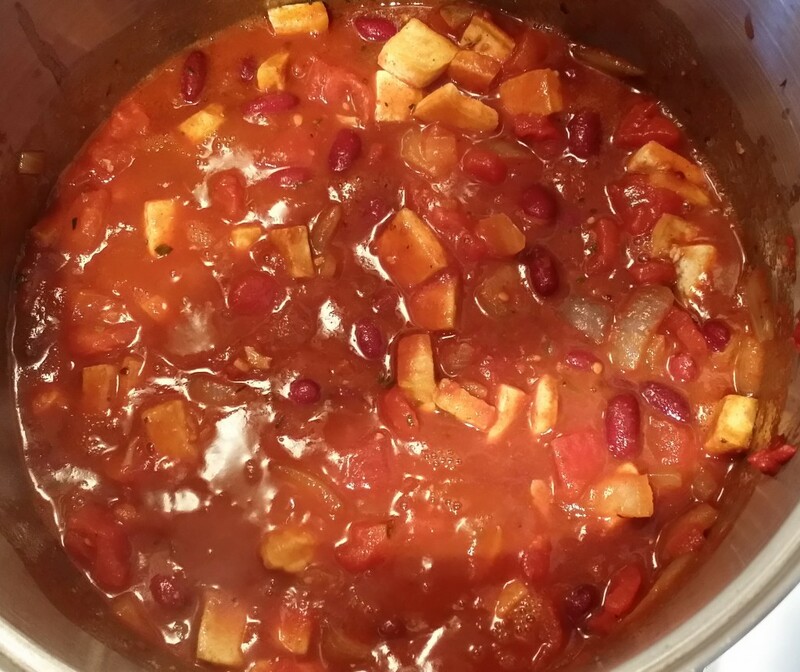 I make this tofu chili and freeze it so I can have meals on hand when I am too busy to cook. If you have never tried tofu before, this is a must try. I was inspired with this recipe by Canadian Living magazine. Their recipe was simple and easy just the way I like it. I tweaked it to my own taste buds. You can certainly add more spice if you like as well. I found it quit delicious and definitely would make it again. Pat tofu dry with paper towels; cut into 3/4-inch (2 cm) cubes. In nonstick skillet, heat 4 tsp (20 ml) of the oil over medium-high heat; fry tofu, in batches and turning occasionally, until golden, about 5 minutes. Meanwhile, in large Dutch oven, heat remaining oil over medium heat; cook onion and garlic, stirring occasionally, until softened, about 4 minutes. Add chili powder, oregano, cumin, salt and pepper; cook, stirring frequently, for 1 minute. Add tomatoes, beans, stock, carrot, tomato paste and tofu; bring to boil. Reduce heat to medium-low; simmer, stirring often, until vegetables are tender, 30 minutes. Stir in corn; simmer until corn is heated through, 5 minutes. Stir in parsley and lemon juice. Tofu is made from soybean curds and is naturally gluten-free and low in calories. It contains 0 cholesterol and is an excellent source of protein, iron and calcium. Tofu provides 44% of daily calcium needs, 9% of magnesium and 40% iron. It also contains a small amount of Vitamin K, Vitamin B-6 and selenium. So next time you make your Chili- try it with Tofu. I really think you will enjoy it. Living Traditionally has a great article with very important information to read about GMO fruit. Please check out the link and their site to make sure you are "in the know" when shopping for your fruits. The new genetically engineered Arctic Apple® was approved by the USDA on February 13, 2015, and like other GMO fruits being approved. 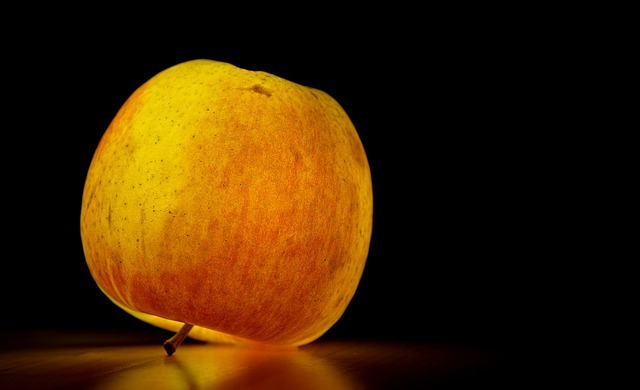 It won’t be labeled and won’t have undergone independent safety testing — regulators will rely on the company’s own assessment that the apple is safe for human consumption. Now they are trying to approve GMO peaches, pears, cherries, bananas and oranges. Unfortunately, once approved, these new GMO fruits will appear unlabeled on grocery shelves across the country. One of the bigger cons of GMO is that unless it is one of those weird-looking fruits like black strawberries or giant raisins, there really is no telling at a glance which vegetables, fruit, grain or other crops have been genetically modified. today we celebrate the economic, political and social achievements of women past, present and future. I was happy to celebrate once again with the Women of York at NewRoads Girls Nite Out. What a great time was had by all and it was so awesome to see everyone again. 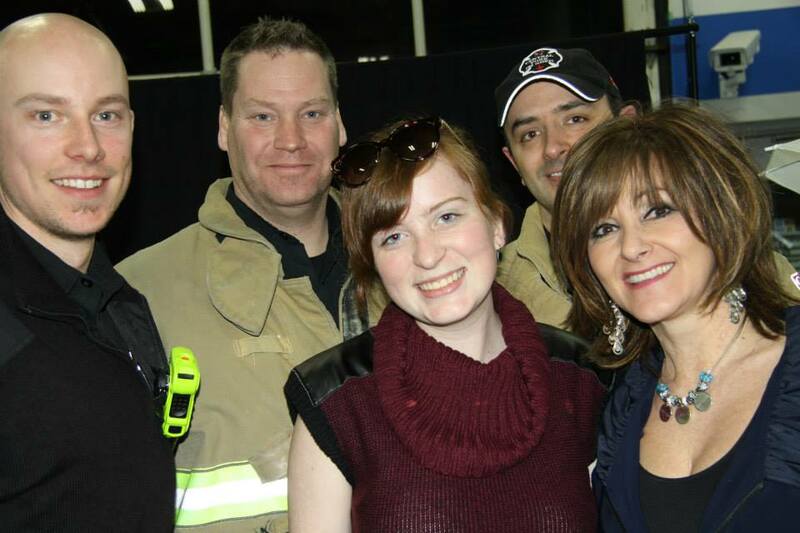 A big shout out goes to the York Fire Fighters as always they are there to help with the fund raising. Happy ‪#‎International‬ ‪#‎Women's‬ ‪#‎Day - Take time to celebrate the awesome Women in your life!